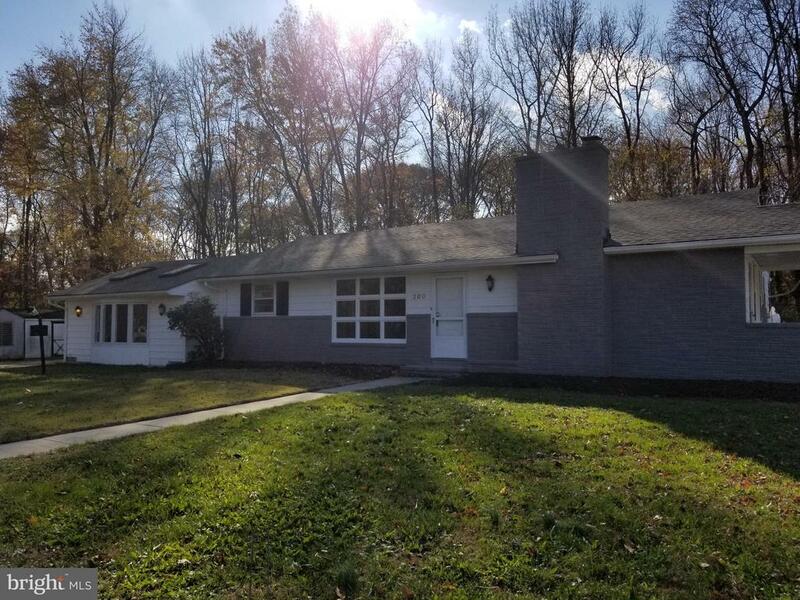 All Carneys Point homes currently listed for sale in Carneys Point as of 04/20/2019 are shown below. You can change the search criteria at any time by pressing the 'Change Search' button below. 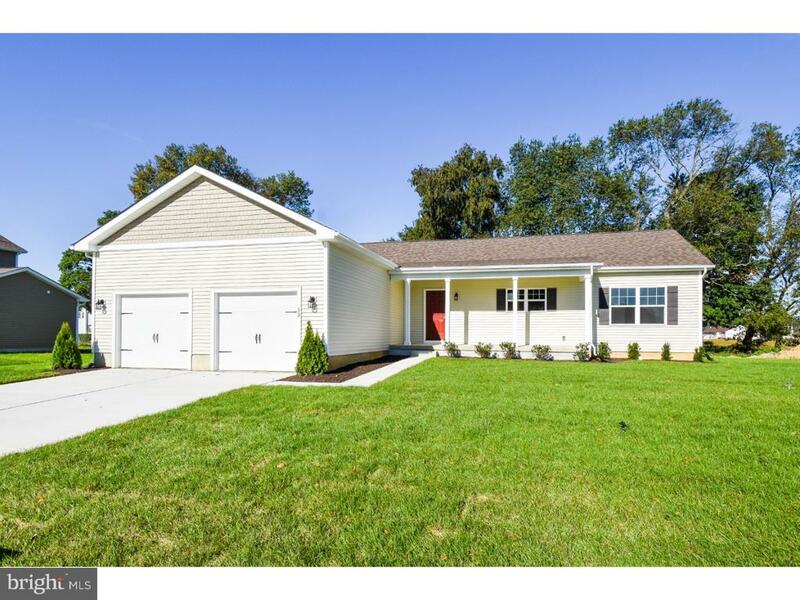 If you have any questions or you would like more information about any Carneys Point homes for sale or other Carneys Point real estate, please contact us and one of our knowledgeable Carneys Point REALTORS® would be pleased to assist you. 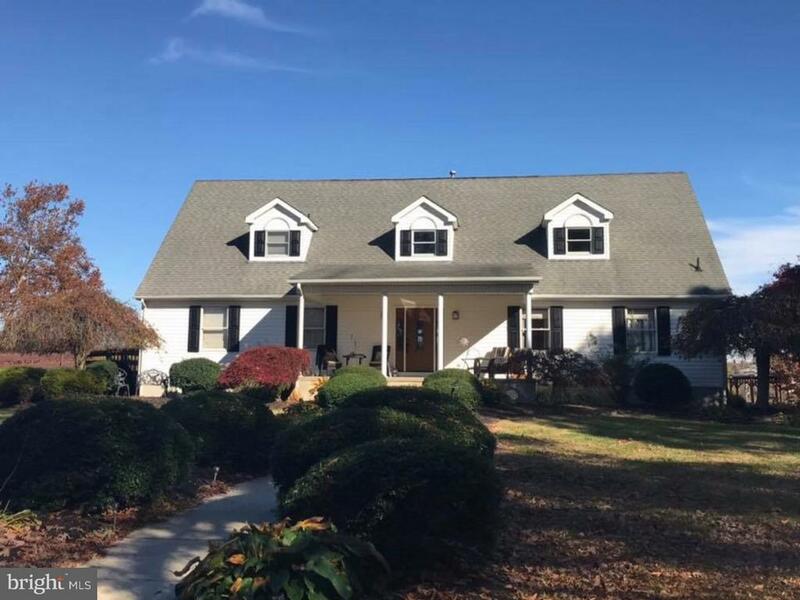 "Enjoy gatherings during all seasons in this beautiful custom build cape home situated on one of the most beautiful, scenic spots in Salem County. Imagine spending chilly fall nights with a camp fire and cocoa looking out over the lake and watching nature in action. The winter is perfect for ice skating and spring brings new life to the lake with waterfowl and many other spectacular sites. The sunrise and sunset is absolutely breathtaking from the kitchen or any view point in the home. Eagles are spotted nesting on the island in the center of the lake. The back deck leads to a 30' round above ground pool, spacious yard, beautifully landscaped and maintained. The 40 x 30 Pole Barn is everyone's dream with room for equipment and a enclosed room for an office as well. This 6 bedroom, 3 1/2 bath home has a tremendous layout. As you enter the foyer there is a library to the right and a living room facing the lake with a large handicap accessible master suite. The kitchen faces the lake with a bump out to enjoy breakfast along with a formal dining room and second two bedroom suite. Upstairs there is a three bedroom suite set up, each with it's own living space. 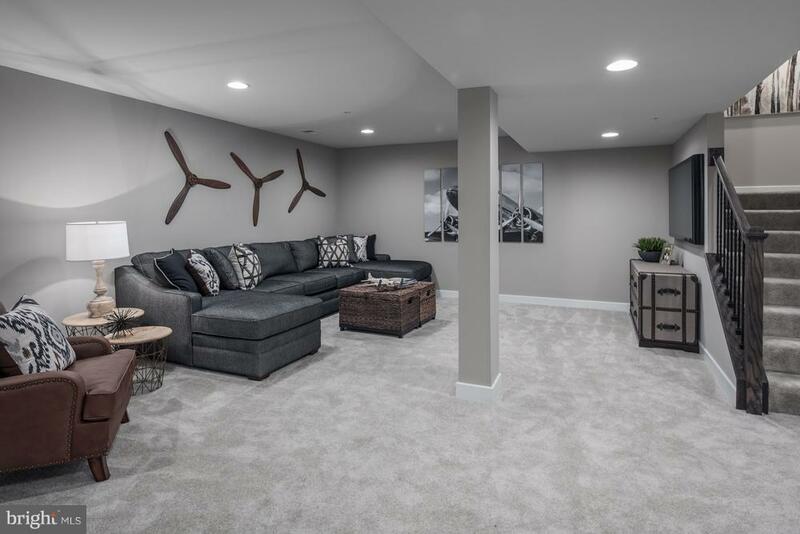 The finished basement is set up for entertaining, office space and tons of storage. The property is situated on 7+ acres on a dead end street. Imagine the next family gathering at your new home on the lake!" "Looking for REAL privacy! How about 29.59 acres of former farm land on a private land with waterfront. This land offer 700 or so foot of navigable water along the rear property line with a dirt ramp for access. Property was farm fields (now most of it is overgrown with much of it wooded areas) Backs up to Game Creek. Old farm house on property needs to be torn down. Great possibilities of a small farm or for a horse farm. Private seclusion on end of North Game Creek Road. Priced to move quickly. Property is located about 700-ft off of Game Creek Rd. Access is over a private right of way. PLEASE NOTE: The private right of way goes along the edge of this property. ** Any documentation we have on file is uploaded into the MLS/Trend under documents! **"
"Absolutely amazing! New Septic Installed 12/2018! Possible subdivision on side road. Beautifully remodeled home situated on over 10 acres of paradise, privacy, and nature. Pull up into a long circular driveway and the houses are situated way off the road. Walk up the brick walkway and enter into home into the large foyer area with coat closet and tile floor. Off to the left is the enormous gourmet eat-in kitchen showcasing 42 cherry cabinets, Corian countertops, U-shaped island for additional bar stool seating, undercounted lights, upgraded lighting, wall lamps, recessed lighting, ceramic flooring, ceramic tile backsplash and full appliance package. Eating area has large casement windows that overlook the backyard. Off the kitchen is also a full bath with stall shower. To the right of the foyer are a massive living room with wall to wall carpet, recessed lights, scones, ceiling fan and beautiful brick fireplace with wood burning insert. What a great room to have all your All get-togethers. Off the living room is a bright and sunny sunroom with a corner cabinet, ceiling fan and recessed lighting. This room is perfect for an office, library or the little one's playroom! All rooms on the first floor are oversized. Now let us be guided to the upstairs on the extra wide beautiful staircase. This leads to 4 generously sized rooms and a huge walk up attic waiting to be finished. You should see this extra space. Full bath on the second floor showcases 6-foot shower, rain shower head, and large closets. All 4 oversized bedrooms have ceiling fans and carpet. Full basement with laundry area and Bilco Doors. Extra Ref. and Freezer in the basement. An added bonus for all your summertime gatherings salt water L-shaped unground 9-foot pool surrounded by beautiful pavers leading to pool. Fun facts: Pool pump 2018,HVAC 2 Zone and upgrade for possible additions to home, Kitchen 7 years young, Existing foundation for future garage, 9'x24' box portable shed, small building next to "
"Over 75% sold out! Ryan Homes offers The Point at Laytons Lake, new single family homes on up to 1 acre homesites, located just 1 mile from Rt. 295 and NJ Turnpike. This listing is for our to be built Hudson model which features 4 bedrooms, 2.5 baths, 2 car garage, and second level laundry room. Optional first floor bedroom is available to replace study if needed. To schedule an appointment or acquire more information please call our on-site sales office. Photos not actual representation of completed home. See Sales & Marketing Representative for details. *Now offering closing cost assistance with use of NVRM." "Over 75% sold out! Ryan Homes offers The Point at Laytons Lake, new single family homes on up to 1 acre homesites, located just 1 mile from Rt. 295 and NJ Turnpike. This listing is for our to be built Columbia model which features over 2423 sq.ft of living space, has 4 bedrooms, 2.5 baths, 2 car garage, and second level laundry room. The Columbia also offers a loft for those who prefer a 3 bedroom home. To schedule an appointment or acquire more information please call our on-site sales office. Photos not actual representation of completed home. See Sales & Marketing Representative for details. *Now offering closing cost assistance with use of NVRM." "Over 75% sold out! Ryan Homes offers The Point at Laytons Lake, a new single family home community on up to 1 acre homesites, located just 1 mile from Rt. 295 and the NJ Turnpike. This listing is for our to be built Bramante Ranch floor plan which features 3 bedrooms, 2 full baths, covered back porch, gourmet kitchen island, and 2 car garage. To schedule an appointment or get more information please call our on-site sales office. Photos not actual representation of completed home. See Sales & Marketing Representative for details. *Now offering closing cost assistance with use of NVRM"
"Over 75% sold out! Ryan Homes offers The Point at Laytons Lake, new single family homes on up to 1 acre homesites, located just 1 mile from Rt. 295 and NJ Turnpike. This listing is for our to be built Ballenger model which has 4 bedrooms, 2.5 baths, 2 car garage, and second level laundry room. The Ballenger also offers a loft for those who prefer a 3 bedroom home. To schedule an appointment or acquire more information please call our on-site sales office. Photos not actual representation of completed home. See Sales & Marketing Representative for details. *Now offering closing cost assistance with use of NVRM." "Over 75% sold out! Ryan Homes offers The Point at Laytons Lake, new single family homes on up to 1 acre homesites, located just 1 mile from Rt. 295 and NJ Turnpike. 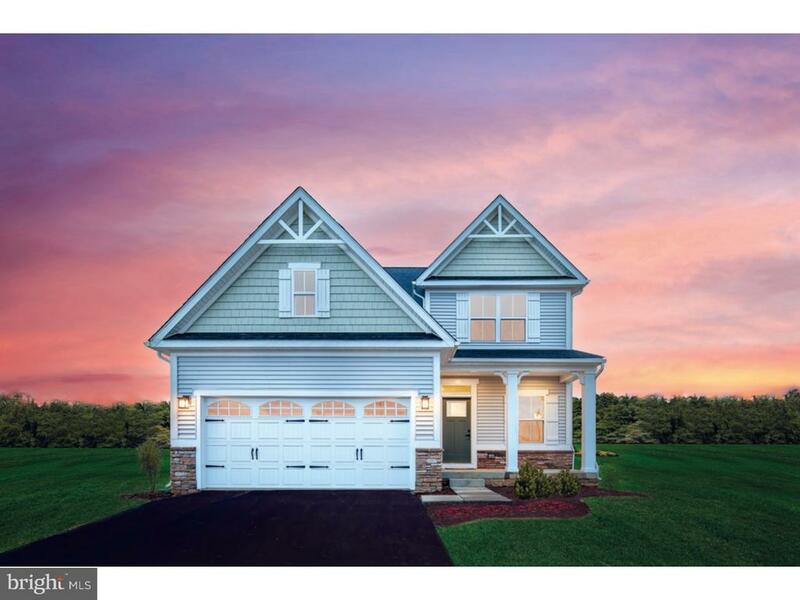 This listing is for our to be built Allegheny model featuring 4 bedrooms, 2.5 baths, 2 car garage, and second level laundry room. To schedule an appointment or acquire more information please call our on-site sales office. Photos not actual representation of completed home. See Sales & Marketing Representative for details. *Offering closing cost assistance with use of NVRM." "No need to wait for a home to be built...this brand new home is ready for you to move in today! Pack your belongings and experience ranch style living at The Villas at Cornerstone. 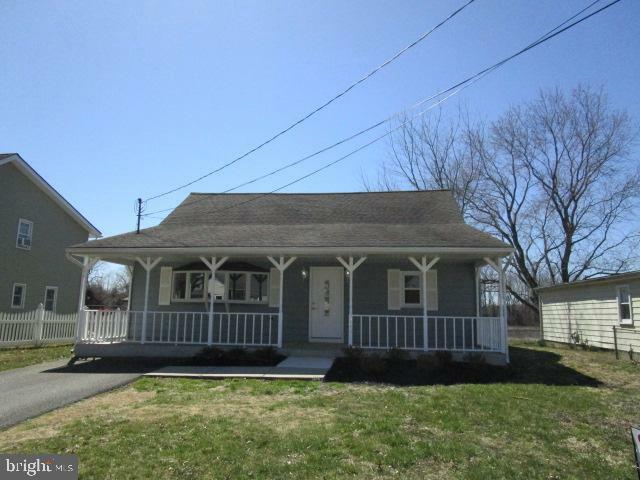 This 3 Bedroom, 2 Bath Evansville model includes a beautiful front porch, full unfinished basement, 2-car garage and MORE! You will love the amazing features this model offers like a large kitchen island, stall shower in the grande bathroom, and 3 walk-in bedroom closets! Our 10 Year New Home Warranty will offer you peace of mind. Schedule a showing today!" "Fresh & Lovely 3 bedroom ranch home featuring an OUTSTANDING 4+ Bay garage and an in-ground pool, too! NEW HIGH EFFICIENCY: GAS heat, GAS hot water and CENTRAL AIR! NEW ROOF! Tastefully painted through out! ADORABLE NEW KITCHEN! NEW appliances, some new lighting, NEW LAMINATE FLOORING W/20 year warranty! New plumbing upgrades as well as a new electric service. This property is truly a dream for anyone who collects cars, motorcycles, boats, jet skis or is in need of a shop as well as a home. It's the best of all worlds: a roomy & beautiful home, a extra-tall/oversized garage as well as a wonderful pool/patio area out back. Call today and make an appointment to see this one!" "Lovely Quality Ranch on Rural Setting. Features 3 bedrooms, 2 1/2 baths and so much more. Enter through the foyer to view this beauty you will love calling home. Large living room and dining room make entertaining easy. The bay window in LR showcases the lovely yard and adds plenty of sunlight. The well appointed kitchen offers island/breakfast bar that opens to the family room with fireplace and large bay window that makes for a bright cheery room. All 3 bedrooms are ample size with generous closets. Master bath features walk in shower for added convenience. Large hall cedar closet could serve as office or perfect computer niche. Enjoy heated sunroom which leads to large deck and fenced back yard. Laundry room and oversized 2 car garage. Two sheds His/Hers...Pick your She Shed''. Tasteful upgrades throughout. 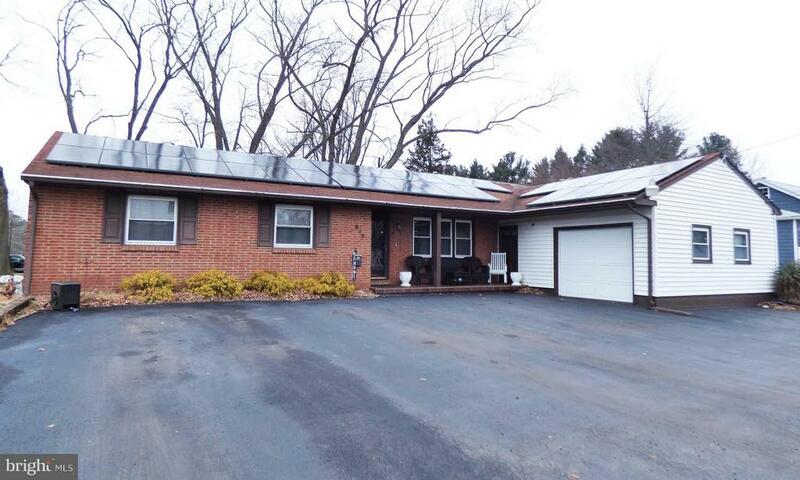 Home has solar panels (info available upon request). This is a rare find and offers something for everyone. Low maintenance and well cared for." "This Executive home has Plenty of Room for You to Entertain and Live Comfortably.There are over 3100 sq/ft of Living Space with Magnificent Over Sized Rooms. As you Enter the Splendid Foyer you will be Awed with the Open 3 Story Staircase. 4 Bedrooms, 2 1/2 Baths, Formal Living Room, Formal Dining Room, Eat in Kitchen with Island, Family/Great Room, Office and Huge 3rd story Loft. The Master Bedroom has Two Walk-In Closets, Sitting/Office Area, Built-In Vanity and Master Bath with Garden Tub and a Shower Stall. Exterior Motion Sensor Lighting in the Back and Front of the Property for security. Dual Zoned Heating and Air Conditioning and Easy Access to the 4 ft. Crawl Space. The Security System Alarm also Includes Fire Protection for your Safety and Security. There is a beautiful Gas Log Fireplace in the Family/Great Room for cozy winter nights. If you have a Home Based Business you can Close the French Glass Doors of the den and Work in a Peaceful Setting. Or You can Step through the Sliding Doors in the Back of the House onto Your 24x18 Stone Paver Patio with a Pergola Canopy and Striking Rear Yard View. 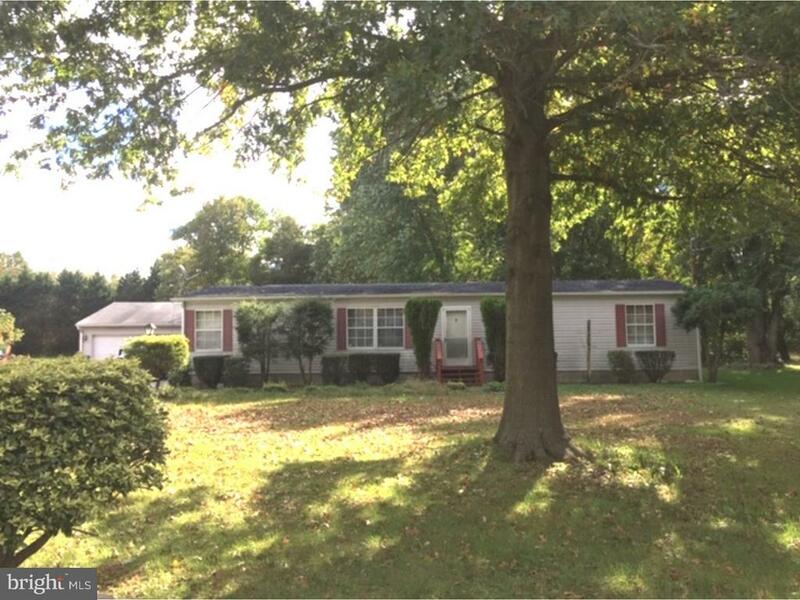 This home is in a lovely development of newer homes located minutes from Route 295 and Route 130 and close to Delaware, Commodore or Philadelphia Bridges. 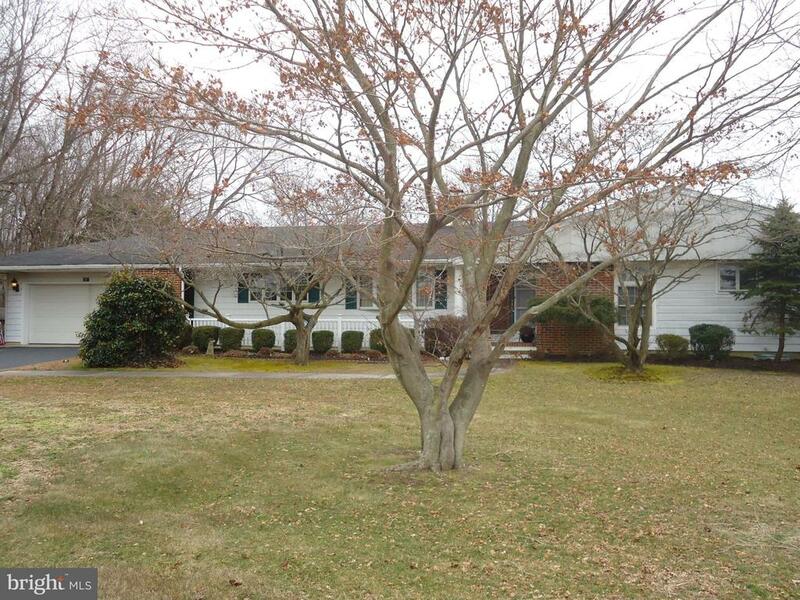 Close to Shopping and Minutes away from the Growing Gloucester County Area with Stores and Great Dining. This is a short sale and being sold as is." "Stroll down a beautiful brick walk to the front door of the best lot in Fenwick Park! This truly charming and inviting home sits on a rounded lot with light and airy views, an open porch and a second story balcony. There~s a covered breezeway that leads to a heated, spacious 2 car garage and a full, partially finished, dry basement with a wood burning fireplace and separate laundry/utility room. Interior features include an old fashioned milk delivery draw, a built in telephone stand and refinished hardwood floors throughout. The living room features crown molding, a set of beautiful built in bookshelves, a large bay window overlooking the front yard, a gas fireplace and entry to the side porch.The kitchen boasts a large window that provides great natural light, a pull down ironing board in the Butler~s Pantry and a half bath nearby. The master bedroom features a full bath for added privacy and convenience. The other bedrooms each have two closets with one featuring a charming window seat and entrance to the balcony. There~s even an upstairs laundry chute! Owners converted to gas and installed zoned heating and cooling for comfort and efficiency.Pet Stop underground fence surrounds whole property is in perfect working condition. This home is truly a classic that has convenient access to major roadways and bridges and is a well maintained must see that anyone would be proud to call home!" 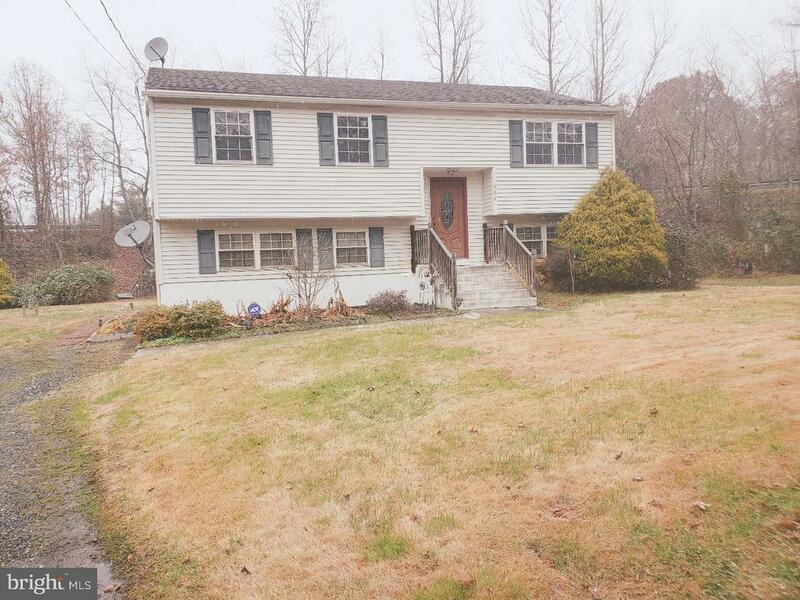 "Move in ready bilevel situated on over 3 acres minutes from Route 295." "Price reduced! This is a Fannie Mae HomePath property. 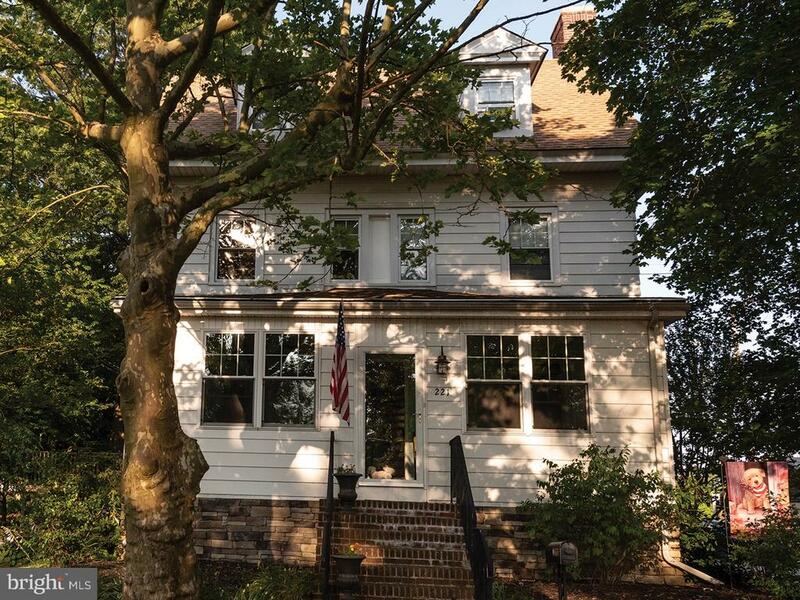 This 2 story colonial home features a foyer entry, living room, dining room, kitchen with breakfast area which is bathed in sunlight from skylights and windows that surround the room, family room, laundry area, half bath, sunroom, and sitting room. Upper level features Master bedroom suite that includes a sitting area and Kohler jet tub in the Master bathroom, three additional nice size bedrooms, and full bathroom. Additional features include gas heat, central air, Trex deck with vinyl railings, a 2 car garage, and more. Located minutes from all major bridges and highways for easy commute. Tenant occupied---24 hour notice to show needed---property is tenant occupied." "Welcome Home! Lot's of NEW and NEWER Here, and No Flood Insurance Required! Before stepping inside, take a moment on the covered front porch, the perfect spot for your morning coffee or to sit and enjoy the newspaper. Enter through the Newer Vinyl Entry Door, into the foyer with NEW Vinyl Plank Flooring that carries from the Foyer through the Kitchen and Bonus Room; The Living Room is bright and cheery, plenty of light through the large picture window, and also offers a ceiling fan and NEW carpet; The Renovated Chef's Kitchen boasts Tons of storage, with a massive built-in Pantry, Newer Maple Cabinetry, GRANITE COUNTERS with Breakfast Bar, Stainless Steel Appliance Package, tile backsplash, a convenient side door for driveway access, and is open to the bonus room with Vaulted Ceilings, ceiling fan, Wall of Windows for even more natural lighting, this space is perfect for a Family Room or possibly a Formal Dining Room. The Just-Renovated Hall Bathroom is a must-see, boasting Double-Sink Marble Top Vanity, Double Tilt-n Mirrors, NEW Fixtures, Ceramic Tile Flooring and Shower Surround, along with Seamless Glass Roller Doors; The spacious Master Bedroom offers New Carpeting, plenty of closet space, and a Full, Ensuite Bathroom w/ Newer Vanity; This level is rounded out with two more generously sized bedrooms, BR 2 with Newer Carpeting and #3 with Laminate-Wood Flooring. From the kitchen, take the open staircase down to the FINISHED Basement, offering Lots of Additional Space! The large open space is perfect for an additional Family Room; The Bar Area is just great for parties and holiday gatherings; plus a separate room that could be your Theater Room, Home Office, Exercise Room, or maybe a Den to hide away all those toys! This level additionally has a large, unfinished space, for Laundry, Mechanicals, and plenty of storage. Don't Miss: The back yard is fenced in, and offers a large storage shed, and the expanded driveway offers off-street parking for several cars; The"
"Welcome to 228 Lanning Ave! Brick rancher located on a quiet Street with HUGE Yard and plenty of space for Storage both inside and out. This one-story living home features 3 Bedrooms and 1 Bath. Generously sized living room with window coverings is adjacent to dining area. Spacious Kitchen with tile back splash includes built-in oven and range, double sink and refrigerator. Large Family/Rec room with bar area has sliding door leading to patio and expansive back yard. There is inside access to an oversized heated garage (once used as a game room) with bar, shelving, and storage room. Newer Heater and central AC. Replacement windows throughout and Solar panels on roof of home. Located minutes from all major bridges and highways for easy commute. Contingent on Seller finding suitable housing. Owner occupied---24 hour notice to show is required." "What a gorgeous piece of land--just about an acre!! 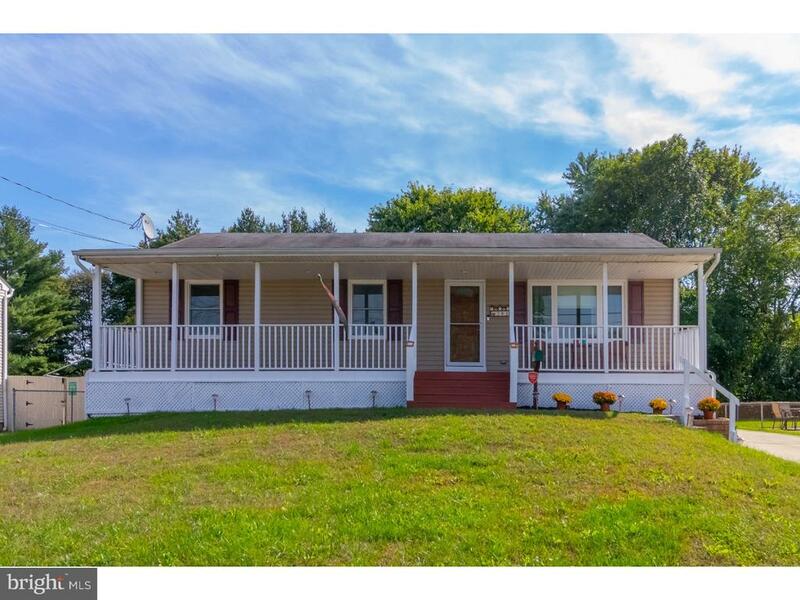 With a 4 BEDROOM, 2 FULL BATH rancher! Rancher has an open layout with a split floor plan. Master bedroom on one side of the home while other 3 bedrooms are on the opposite side of the home. Master bath complete with large double vanity. GORGEOUS KITCHEN with plenty of cabinet and counter space. Accent lighting, laminate wood floor, and awesome pantry highlight the kitchen. Dining area is right off the kitchen to enjoy meals with the family. Want 2 living spaces?! This home has it! Good size living room and ALSO a spacious SUNROOM with wood stove! Roof about 11 years old. Sunroom looks out to the large open backyard. No houses or buildings behind the home. Also included is a 2 car detached garage, 24X24. 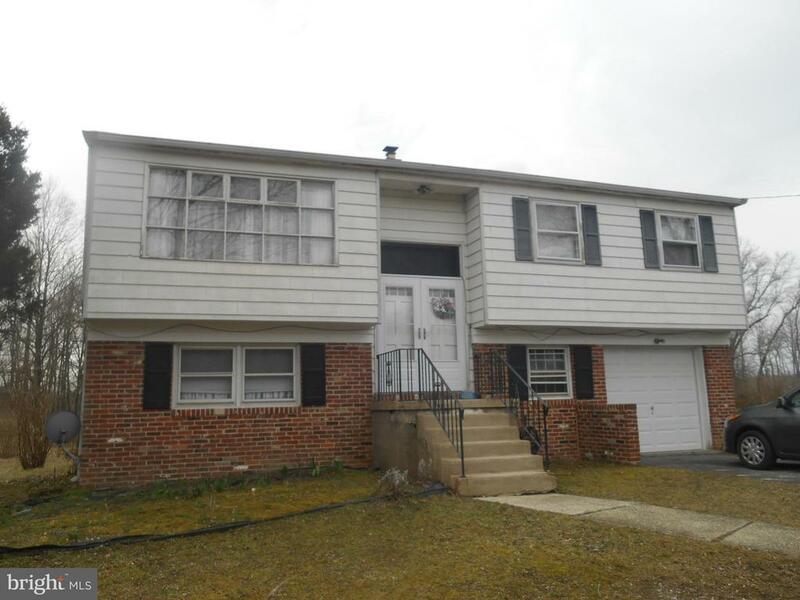 Property is close to all major travel arteries of 295, NJ Turnpike, Delaware Memorial and Commodore Barry Bridge." "Completely updated and refinished, this 4 bedroom, 2 full bath home is ready for its new owners! Enter into the foyer that leads to the cozy living room with turned stair case and custom built-ins. This leads to a bright sun room through french doors. The newer kitchen boasts stainless steel appliances, granite counter tops, a built in dishwasher & microwave, and beautiful cabinets that offer plenty of storage. Downstairs also features 2 large Bedrooms and a newly finished full bath.Upstairs there are 2 more large bedrooms and a second full bath. Other features of the home include extra high ceilings, ceiling fans, some newer carpet and flooring , and a new gas heating system. Full, dry basement supplies ample storage and even has a walkout exit for easy access to the large fenced-in back yard. This home has tons of charm with its front & rear covered porches, newer windows, and hardwood flooring . Washer/Dryer, Dishwasher, Microwave, Stove, Refrigerator, & Ceiling Fans included! 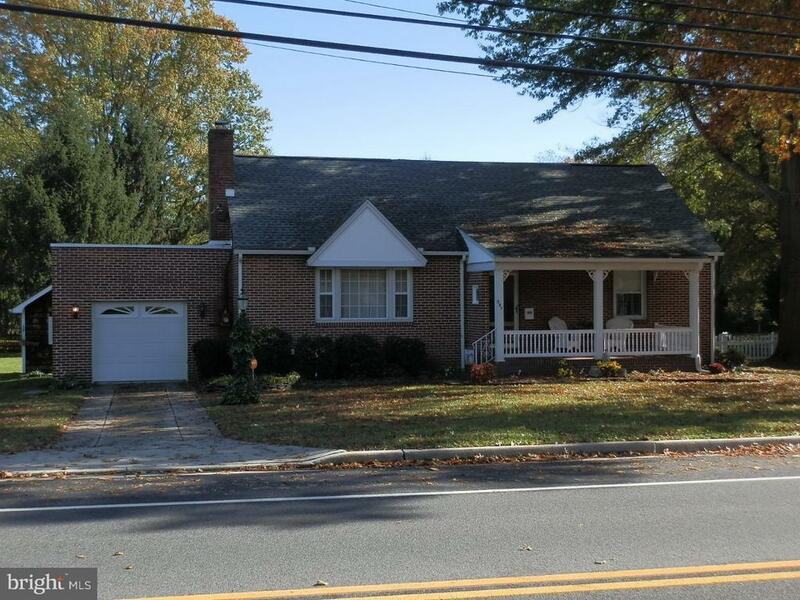 Make the move of a lifetime and come see this absolutely charming cape cod home today!" "Experience wonderful river sunsets from the finished, front porch in this 5 bedroom, 3.5 bath colonial situated on a quiet corner lot. Gourmet kitchen features stainless steel appliances, granite counter tops, & oak cabinets, adjacent to wet bar and breakfast room, w/double french doors that lead to spacious back deck great for barbecues. High ceilings accent this LR w/brick wood burning fireplace & built in bookcases. Formal DR w/antique chandelier & full bath complete the 1st floor. 2nd floor features 3 generously sized bedrooms all w/ ample sized closets. Full bath w/ ceramic tile floors. 3rd floor - 2 beds and full bath. Full basement, with half bath, walk-out door & work bench. Professionally landscaped with fruit trees. Detached garage across street. Original wood floors. 1st and 2nd level floors refinished. This home seamlessly blends historic charm w/modern amenities. Well maintained. 1 yr Home Warranty offered. Seller's assist up to $2k for buyer's closing costs. Access to fishing on the river is right down the street! Private schools have busing available in the area. Just minutes to 295, Del. Mem. bridge and exit 2 of tpk." "Welcome Home!! 4 Bedroom (including one on main level) and 2 FULL Baths. The house has just been extensively updated with NEW Windows, Gas Heater, AC Unit, Flooring and much more. The kitchen features beautiful tiled backsplash, double sink, plenty of cabinets/counter space. The back yard is fenced and includes a large detached Shed. All appliances will be included (Stainless steel Gas Range, Dishwasher, Refrigerator, Microwave, Washer and Dryer) House has an open floor plan with a very large living room that is great for entertaining. Crawl space and attic for additional storage. Seller is offering $5000 help towards buyer's closing." "Extremely motivated sellers offering seller assistfor closing!! 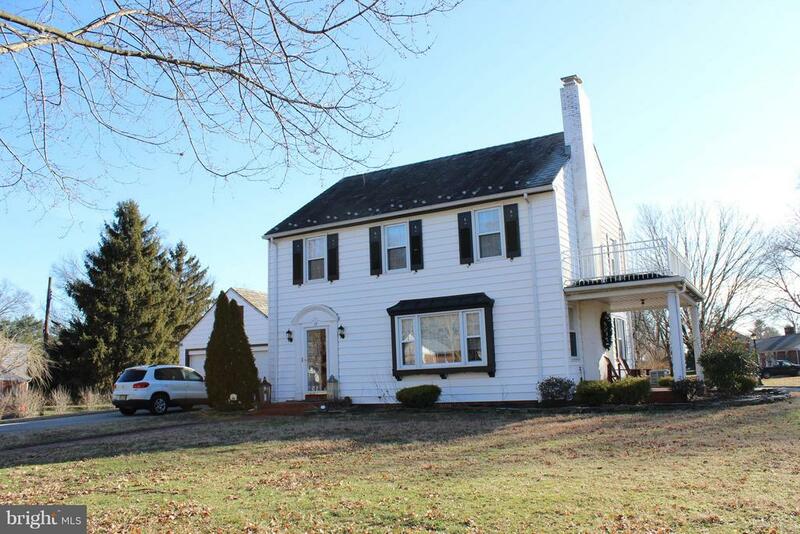 This well-maintained home is just waiting for new owners! Be settled in your new home in time for summer fun and relaxation. 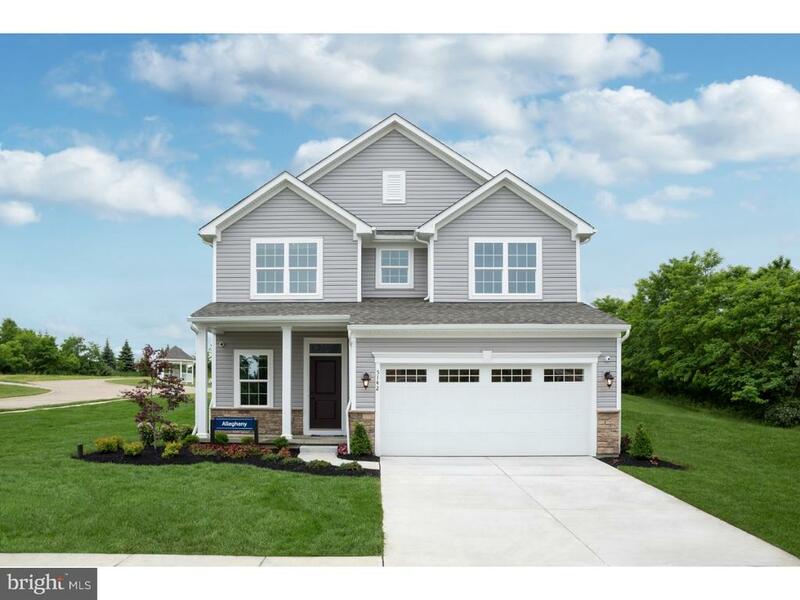 This beautiful 4 bedroom plus bonus room (office, nursery, sewing room) is move in ready. The half-acre lot affords privacy for back yard enjoyment as well as sitting in the all glass 3-4 season room watching nature. The master bedroom and second bedroom are on the first floor along with the living room with gas fireplace, dining room and kitchen. The 14 x 8 laundry room comes complete with a sink and very large pantry and is also located on the main floor. The two bedrooms on the second floor are spacious and separated by a half bath. Also included on the second floor is a very large cedar walk in closet. Makes switching over winter to summer clothes very easy and protected. The foyer welcomes you with the ceramic tile leading to the beautiful hardwood floors and into the living room with easy to use gas fireplace. This property is a must see and very easy to show. Talk about location! Access to Route 295, the New Jersey Turnpike and Route 130 to the Delaware Memorial Bridge will give you great shopping in Tax free Delaware, great shows in New York City or travel via the Philadelphia International airport. The Salem County Community College located directly across the street affords education for all ages as well as cultural activities in the Davidow Hall. Sakima Country Club and golf course is also within a short walk. Local Riverview Beach Park affords many enjoyable days and nights along the Delaware River. Make your appointment today. Again these sellers say bring the offers!!" "Drive down the private tree lined lane to this updated split-level home. This Freshly Painted nearly 2,000 square ft. home has 4 bedrooms and 2 full baths ready for you to move right in. The upstairs level includes the newly renovated large eat-in kitchen with beautiful countertops and backsplash and all NEW stainless steel appliances! The French doors in the kitchen lead out to the balcony overlooking your private large yard surrounded by woods without a neighbor in sight. A nice sized living room and 3 bedrooms with ample closet space and completely updated full bath round up the rest of this level. Walk down the stairs to your additional large family room that has new double doors with built in shades walking out onto the patio and backyard. The Private master downstairs has custom double closets and shelving built in for plenty of storage. There is another updated full bath downstairs right outside of the master bedroom and an additional storage and laundry area. The current owners already took it upon themselves to put in a 1 YEAR YOUNG $30,000 SEPTIC SYSTEM! This home is ready and waiting for it's new owner! Schedule an appointment and make it yours today. SELLERS ARE OFFERING $2,000 TOWARDS CLOSING COSTS WITH ANY FULL PRICE OFFER!!" 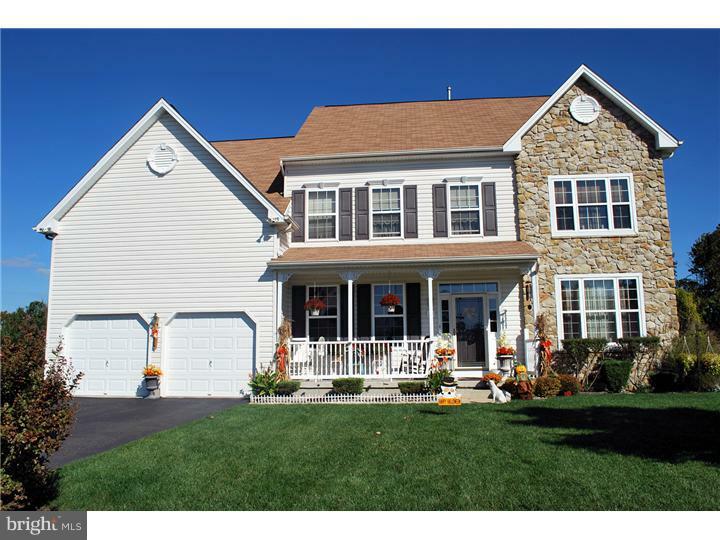 "Make your appointment to tour this 3 bedroom 1 1/2 bath home before it is gone! This house is currently being renovated. Buyer still has time to pick out their choice of paint and other features if they act quickly. Renovated kitchen with granite countertops, all new appliances that consists of a Dishwasher, Stove, Refrigerator and Microhood, Washer and Dryer (Buyer can choose color/style). Renovated bathroom, Refinished Hardwood floors, Fireplace, New windows and siding as well as gutters and soffits. New concrete driveway, back porch and patio area. The Master is on the first floor and the 2 other bedrooms are upstairs. There is a dining room, livingroom and main floor laundry. Property sits on .23 acres and has a nice shed for your storage needs."